Best Friends Thomas Orlina and Malia Baldovi have taken their friendship to the next level by producing and hosting their new digital talk show, “Two Besties Together” where they celebrate their friendship, highlight diversity, positive vibes and wonderful times together. The first season of TBT premiered on Thursday, January 17th with new shows releasing every Thursday. Each episode of Orlina and Baldovi’s show focus on 3 segments – The Topic, The Product and The Throwback. In The Topic, the BFFs discuss numerous topics which range from dating in the modern world, open relationships and mental health. In The Product, Orlina and Baldovi provide a platform for entrepreneurs, influencers and sponsors of TBT to showcase their own products, projects and ideas. And perhaps one of the highlights of the show is their segment, The Throwback where the two reminisce about moments they’ve shared together during their 10year relationship. Closing out each show is their “Besties of the Week” segment where their fans are encouraged to send in their own pictures with their BFFs. Thomas Orlina and Malia Baldovi are no strangers to the entertainment industry. Orlina is best known for producing, creating and starring in his own webisode titled “Your Time With Thomas” as well as being featured on CNN Philippines. Hawaiian born Baldovi’s background is in Production where she most recently spent working at the USA Network for Temptation Island. In addition to hosting, Baldovi also serves as executive producer to the show. “This has been an amazing process and having a show to interact with the audience and working with someone I call my bestie is amazing,” she said. Two Besties Together debuted their season finale yesterday and all episodes are now available for binge watching on their youtube channel – Two Besties Together. Diane Paragas and her film, Yellow Rose, will make history at this year’s 35th Annual Los Angeles Asian Pacific Film Festival, making her the first Filipina American Filmmaker to open the festival. Directed and written by Diane Paragas, the American movie musical follows the story of Rose, played by Tony award nominee Eva Noblezada, a 17 year old girl who tries to fulfill her dream of becoming a country music star all while facing the threat of deportation. Joining Noblezada is Broadway star and Tony Award winner, Lea Salonga who plays Rose’s aunt. Rounding out the cast is Dale Watson, Liam Booth, Gustavo Gomez, Libby Villari and Princess Punzalan. In an interview with Variety, Kaling said she was approached by the entertainment subscription company to make a comedy about her younger self. “I wasn’t interested in telling a period piece about an Indian girl growing up in the 80s, but I told them I’d love to do a show about a 15 year old Indian girl now.” Kaling said. Kaling will reteam with Lang Fisher (The Mindy Project) and co-create and co-write the show. Mindy Kaling just wrapped up production on “Four Weddings and a Funeral”, her adaptation of the 1994 film which she also wrote and executive produced with Matt Warburton for Hulu and Uni TV. EAST WEST PLAYERS PRESENTS MAMMA MIA! “I am so excited to bring Mamma Mia! to East West Players. Reflecting on the theme of ‘culture shock,’ this unique production will feature a diverse, Asian American-led cast—challenging the perception of who is perceived as an American abroad and exploring the culture shock we often feel in our own families generationally,” says EWP Producing Artistic Director Snehal Desai. The cast includes The King and I’s Broadway stars Joan Almedilla and Alan Ariano, as well as Grace Yoo, Elvira Barjau, Anthea Neri, Max Torrez, Danny Bernardo, Michael Palma, Kevin Perdido, Nicole Santiago, Ala Tiata, Edelyn Okano, Dekontee Turkile, Andrew Ge, Steven Agdeppa and singer/songwriters AJ Rafael and Jules Aurora. Opening night will be held on May 16th with previews starting on Thursday May 9th running through Sunday May 12th. Ken Jeong and Deborah S. Craig will star in the CBS comedy pilot, The Emperor of Malibu. Jeong will play Gerry, a Chinese billionaire who is shocked to find out that his son, Auggie, has been secretly dating an American (Kate), for two years and is now engaged. Gerry decides to move his whole family to Los Angeles in hopes of persuading his son to re-think his engagement. Deborah S. Craig, who is known for her work in NBC’s The Blacklist, will also join the cast playing the role of Shiatzy, Jeong’s wife. She is described as “a terrifying force of nature…sophisticated, a little eccentric and strong-willed.” Shiatzy is upset that Auggie has chosen his wife without her help and tries her best to keep Kate away from Auggie. The Emperor of Malibu is written by Kevin Kwan (author of Crazy Rich Asians trilogy) and David Sangalli. Tiffany Young received the Best Solo Breakout at the 2019 iHeart Radio Awards, making her the first Korean female to take home a trophy from the iHeart Radio Music Awards show. “I am so humbled and honored that I can be a aprt of representing young Asian American women in music, and so grateful for my Korean and K-Pop roots that have given me the opportunity to follow my dreams. This award belongs to all the fans around the world who worked hard for this. I promist I will work harder. I want to make you proud.” Tiffany stated in her acceptance speech. Tiffany Young released her EP Lips on Lips last month and also performed a mini Lips On Lips showcase tour earlier this month. This past November, Young was also the face for H&M’s Autumn 2018 campaign. Marvel Studios has signed on filmmaker Destin Daniel Cretton to direct their upcoming film Shang-Chi. In the comic books, Shang-Chi is born in China to a Chinese father and white American mother. His father, the villainous Fu Manchu, teaches him martial arts. and Shang-Chi becomes a hero after rebelling against his father’s ways. Although no casting news have been announced, Marvel Studios has mentioned that Shang-Chi will be their first project featuring an Asian lead and mostly Asian and Asian American cast. Shang-Chi will be penned by Chinese American Dave Callaham whose recent works include co-writing with Patty Jenkins and Geoff Johns in the upcoming DC Warner Bros sequel, Wonder Woman 1984 and Sony’s animated Spider-Man: Into the Spider-Verse 2. Cretton, who was born and raised in Hawaii, is currently directing Just Mercy, a film he wrote, based on the memoir of Equal Justice Initiative founder Bryan Stevenson. The movie stars Michael B. Jordan and reunites him with actress Brie Laron who starred in his film, Short Term 12. Kal Penn’s upcoming NBC sitcom finally has a title – Sunnyside - named after the neighborhood in Queens, New York. Penn who co-wrote the comedy with Matt Murray, will play New York City Councilman Garrett Shah who “finds his calling when faced with seven recent immigrants” who are in search of the American Dream and need his help. According to Deadline, 5 of the 7 immigrants will be portrayed by immigrant actors. The cast includes Joel Kim Booster, the high profile, South Korean-born comedian; Kiran Deol, the UK born actor, Poppy Liu, an actress born in China; Tudor Petrut, of Romanian origin; Samba Schutte, a Dutch Mauritanian actor who grew up in Ethiopia; Diana Maria Riva, a first-generation Dominican; and Moses Storm. The pilot is also directed by immigrant Oz Rodriquez. The official trailer for Mindy Kaling’s feature film, Late Night, has just been released. Kaling serves as producer and writer of the film and stars alongside Emma Thompson who plays a talk show host on the verge of losing her show. Thompson hires a female writer, played by Kaling, to help revamp her program. Late Night also stars Hugh Dancy, John Lithgow, Ike Barinholtz and Dennis O’Hare and is directed by Nisha Ganatra. After premiering at the Sundance Film Festival earlier this year, Amazon Studios bought the US distribution rights for the film for $13 million. According to Deadline, the deal was made after an all-night bidding battle and became the largest deal for a US only distribution at Sundance. Late Night is scheduled to hit theaters on June 7th. 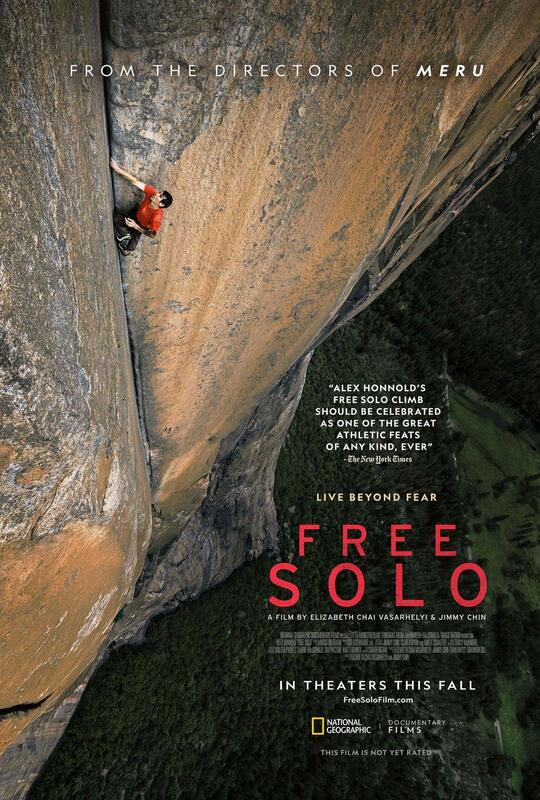 Free Solo took home an Oscar for Best Documentary at the 91st Annual Academy Awards this past Sunday, February 24, 2019. Jimmy Chin and Elizabeth Chai Vasarhelyi, the husband and wife team who directed the film, clearly looked shocked as they accepted the award. Free Solo follows rock climber Alex Honnold’s attempt to climb Yosemite National Park’s El Capitan without the use of ropes. The Sports Illustrated Swimsuit issue is scheduled to come out in May. Merritt also shared several behind the scenes videos of her photoshoot for Sports Illustrated on her Instagram Account. MARVEL COMICS INTRODUCES A FILIPINA HEROINE IN "THE WAR OF THE REALMS"
Marvel Comics’ upcoming comic book, The War of the Realms will introduce a new team of heroes including “Wave” a Filipina heroine, Aero and Sword Master from China who will be part of the Agents of Atlas. The War of the Realms universe will be set in Asia where the Agents of Atlas will be tasked to save the world. The comic books are set to be debut in May 2019. H.E.R. who received 5 Grammy nominations, took home 2 Grammy awards this past weekend for Best R&B Album and Best R&B Performance for her song Best Part featuring Daniel Caesar. H.E.R. was born Gabi Wilson but in 2016, changed her stage name to H.E.R. which stands for Have Everything Revealed. Jamie Chung’s 2019 is off to a great start. Last month, the luxury handbag company Hammit, announced that she is the Brand Ambassador and face of their Spring line. This month, Jamie Chung is celebrating the launch of her footwear collaboration with Chinese Laundry founder Bob Goldman, titled 42Gold. 42Gold is a new venture for Goldman, the CEO of Cels Enterprises, the parent company to Chinese Laundry. The line is a response to the constantly changing market and how consumers are now making purchases. The brand will work with Influencers to capture the attention of shopper’s in a new way. Chung is one of the 42 Influencers who are part of the 42Gold label. Jamie Chung had a lot of input in regards to the shoe styles and was inspired by footwear that are fashion forward, timeless and you can wear throughout the year. The 42Gold collection is available now at Nordstrom and features an array of heels, flats and sandals. 11 time Grammy winner Bruno Mars will be heading to Las Vegas’ Park MGM for an 11 show residency which is scheduled from April 29th to September 14th. For more information, you can head to the MGM website here. Actress and model Levy Tran will join the cast of CBS’ MacGyver this month. In the recurring role, Tran will play Denise Nguyen, “who joins the Phoenix Foundation to protect MacGyver (Lucas Till) and his team on their global missions” according to Deadline. Late last year, George Eads who plays Jack Dalton on MacGyver, reportedly asked to be released from his contract to return to Los Angeles to be closer to his daughter. However, his resignation also came after reports of an altercation during the production of an episode of MacGyver. Tran’s role will fill the void of Eads’ character. If Levy Tran’s character is successful and MacGyver is renewed for a fourth season, CBS will have the option of making her role a series regular. Tran’s debut on MacGyver will be on the February 15th episode. 47 years after its inception, a Filipina contestant was crowned Miss Intercontinental. Filipina Australian beauty Karen Gallman became the first Filipina to win the competition which was held at the Mall of Asia Arena in the Philippines this past weekend. “It means a lot to me. This is the first time the Philippines has won Miss Intercontinental so I am very happy I could do this for the Philippines. I am speechless. I can’t stop smiling. I am just so grateful,” she said in an interview after her coronation at the Mall of Asia Arena. Gallman thanked her supporters via her Instagram account and also dedicated her crown to the Philippines. With her Miss Intercontinental win, Gallman hopes to be a great role model for young women. She added that she wants to be voice for those that cannot be heard and would like to be an inspiration to others. Like current Miss Universe winner, Catriona Gray, one of Karen Gallman’s main goals is to fight for better education for children living in poverty and are from the rural areas of the Philippines. Filipino singer and actor Marc Dela Cruz makes history by becoming the first Filipino to play Hamilton on Broadway. Born in Hawaii, the Filipino Japanese star made his Broadway debut in 2014 playing Swing in “If/Then” and joined the cast of Hamilton in 2018 playing various roles which included King George, General Philip Hamilton, Tennessee Congressman James Reynolds and more. Marc delaCruz on Instagram: "Sometimes amazement lies right around the corner. Thank you for all the messages of support and encouragement I've received over the last..."
“Float” follows the story of a father, who upon discovering that his son floats, decides to hide him from the outside world to keep him safe from the judgement. But when the public learns of his son’s ability, the father must decide to either run, hide, or accept his son as he is. In response to a tweet, Rubio acknowledged that the characters in his film are indeed Filipino. Filmmaker Rosana Sullivan whose maternal family is from Malaysia where several of her stories are inspired from, will also join Chang and Rubio with her short “Kitbull” which tells the story of an unlikely relationship between a stray kitten and pitbull. Other shorts joining the program include “Purl” written/directed by Kristen Lester, “Loop”, written/directed by Erica Milsom, and “Smash and Grab” written/directed by BrianLarsen. “Kibtull,””Smash and Grab” and “Purl” will premiere at the El Capitan Theatre in Hollywood starting on January 18th for an exclusive one-week run. They will then be available on YouTube next month – “Purl” (Feb 4th), “Smash and Grab” (Feb 11), and “Kitbull” (Feb 18). The rest of the films have no release dates yet. All of the Sparkshorts selected shorts will be available on Disney+, the upcoming Disney streaming service which is scheduled to launch later this year.